Tarrant County College graduate Robert Massengale knows a thing or two about cars. 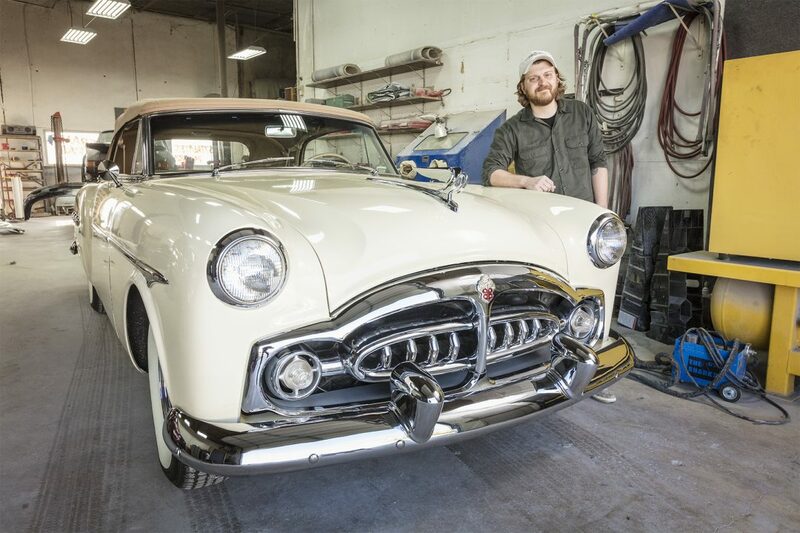 The owner of RJM Restorations, Massengale specializes in restoring vintage autos, down to the smallest details. He gained the foundation for his success as a student of the Automotive Collision Repair program at TCC South. 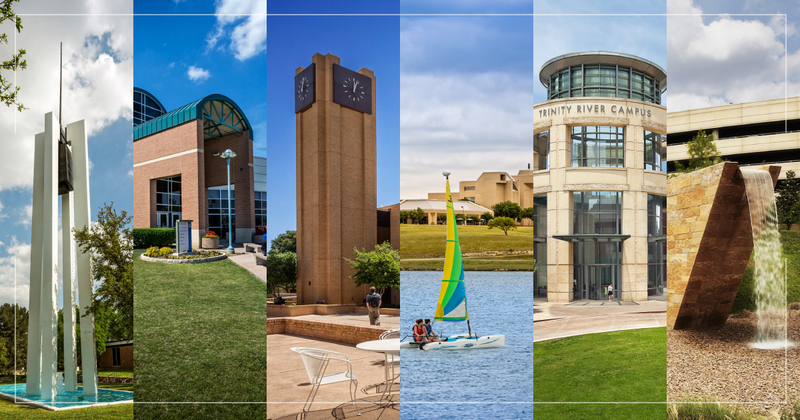 TCC: What brought you to TCC? RM: TCC appealed to me because of its hands-on programs. When I started, I signed up for the welding program and engineering materials so that I could learn metallurgy and the structure of materials, mainly to apply this knowledge to cars. I had no idea about TCC’s automotive paint and body classes until one day, I came across Professor Joe Vaughn of the Automotive Collision Repair program. His classes were across from the welding classes, and he needed help welding a top back onto a 1932 Ford Coupe. While working on that car we hit it off, and I transferred my courses to Automotive Collision Repair with Joe Vaughn as my instructor. TCC: How did the College’s Automotive Collision Repair program prepare you for the work you do today? RM: Vintage cars use many different materials that today’s cars don’t use anymore. I had to learn woodworking, welding, brazing, metal shaping and refinishing. The list could go on and on. Joe was a master of all these trades. I often went in early and left late, and the instructors were always willing to share information and skills with me. The program was more than I could have ever imagined. TCC: Were there any challenges you had to overcome to complete school? RM: I worked a full-time job and went to school full time. It kept me busy, but I enjoyed it. The main challenge I faced with school was deciding whether I wanted to start my career or go on to get a bachelor’s degree. I ultimately chose career. That was a tough decision when I loved both dearly. 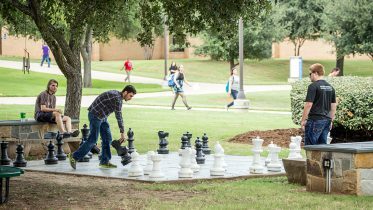 TCC: What resources at TCC helped you succeed? RM: The classrooms had a lot of tools and machines that I could learn on to further my skills in the automotive field. Joe Vaughn was a great man and helped me out tremendously as a professor. He wasn’t just a teacher; he was a dear friend and I considered him family. He took the time to help further my knowledge as a student and brought many books from his home that he knew I would enjoy. I still have those books and read them often, as a matter of fact. Sadly, Joe passed away in September 2015. I was blessed to keep in touch with him throughout my life as a student and in my career, often visiting him at his home. 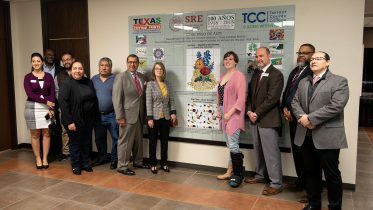 TCC: Tell us about your business. RM: I specialize in cars from the 1930s. I do anything from paint work to full restorations. I build engines, transmissions, drive shafts, axles, electrical wiring, suspension, steering, brakes, etc. If it’s on a car, I can restore it. I also build tools to work on vintage cars based off blueprints. A lot of times I run into a situation where I can repair something only with a special tool. I often have to make it in my shop so that I can fix things properly. In addition, I restore furniture, iron structures, such as gates or ornaments, and vintage homes, of all things. When it came time to name my business, I didn’t want to just be focused on car restorations. Really my passion lies with anything vintage or antique. TCC: How did your career develop? RM: My career started when I was still in college. Joe, my professor, knew Ruth McAdams, who was an English professor. Her husband owned a paint and body shop in Fort Worth. Joe connected me with her husband, Jerry McAdams, and we hit it off immediately. Like Joe, Jerry allowed me to grow in my passion for all things vintage and mechanical. Jerry gave me keys to the business, and I would go in before we opened and start building my own projects. As time progressed Jerry would get in an antique car to do the paint and body on. I had a real passion for these projects. Once, one of our customers needed some body work done at his collection on a very rare 1940 Packard Darrin. I accepted the job. Pretty soon I was working at Jerry’s body shop during the day, doing my projects before opening and during my lunch hour and then, from 6 p.m. to 9 p.m., working at the customer’s collection. As time went on, I slowly gained more and more clients who needed work done to their old cars. After successfully having a huge hand in restoring a 1936 Cadillac V-16, a 1933 Auburn V-12 Speedster and a 1952 Packard convertible, my stage was pretty well set. After 10 years, I had enough presence in the restoration industry that I could finally go out on my own. TCC: Starting a business comes with challenges. How did you overcome them? RM: The first challenge is timing. I often wondered, “Is it time?” These thoughts usually came late at night when I was trying to sleep, thinking about all that I was working on. Then I read something that really opened my eyes. The best time to plant a tree is 20 years ago. You need the tree now, but you have to plant it to get it, and you have to be patient and let it grow to enjoy the benefits and beauty. I had to decide the best timing to plant my tree, because I knew it was going to take time. Once I got my timing down, the next challenge was to take the mental plunge, to prepare myself for the drive. If you aren’t self-motivated, you are going nowhere. I basically had to come up with my own pace. I had been in a routine for so long; I had to learn to break free of that routine and create my own from scratch. It felt wonderful, the challenge of starting something new. It was almost like jumping into the ocean before knowing how to swim. You’re either going to learn to swim fast or sink. There really isn’t an in-between. Thankfully, I have the ability to adapt quickly. Another challenge was creating a good positive attitude. In this business, you must remain collected and cool. There are many deadlines that have to be made, and there isn’t a true 8 to 5 clock. You work when you can, as much as you can, and seven days a week if needed to get a job done or ready for a show. 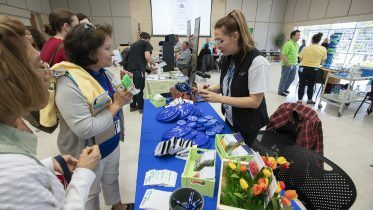 TCC: Tell us about the work you’ve done for the Commemorative Air Force. RM: This is something that is very dear to me. I absolutely love flight. I have taken many flights with the CAF and enjoy vintage airplanes just as much as I do cars. I have restored several World War II TUGs for them; the TUGs move the airplanes and stage them out of the hangar to prepare for flight. I also have done some work on the planes themselves. The goal of the CAF is to keep these historic planes in the air, and many times they do ride-alongs for veterans who served in World War II in the very same model plane in which they fought the war. It’s important to keep history moving and not just sitting in museums. TCC: What’s the secret to your success? RM: I have always felt confident in what I do because I have a passion for it. I never dread going into work because I love to do it so much. In fact, on days that I am sick I am really bummed because I feel like I am missing something, like I am being left out of the party. I felt like that in every class in college. I have always enjoyed learning and challenging myself. I really connected with other students and learned from them. If I wasn’t prepared I would be nervous, but I have always felt prepared—as if I knew the next step was the right step because I was ready for it. The education I got from TCC built my confidence. I will always be building on that core foundation, no matter what I am doing. My education taught me to be patient as well. You can’t rush success. You have to earn it. I still consider myself earning my success. I know that I won’t ever settle and think I have done enough. John D. Rockefeller said, “Don’t be afraid to give up the good to go for the great.” I have always loved this quote; I feel it applies to me. There are many times in my life that I could have been content and settled; however, if I had, I wouldn’t be where I am today. I am constantly growing and striving for better. I’ll always be building on my career, and it all started with the tools of a great education.